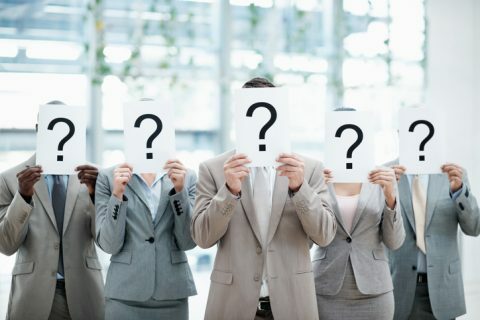 Buyer personas have been used for years to help marketers hone in on what causes purchasers to make positive buying decisions. They are basically character sketches that lay out your target prospect’s background, demographics, objections, challenges, hobbies, and interests. B2C buyer personas are relatively straightforward. What does your target prospect do for a living? How does he spend his time? What car does she drive? Where do they work? But, that is not the case for B2B. B2B buyer personas are a tad more difficult. Now you have multiple people in charge of buying decisions, usually stakeholders or board members. So, how can you possibly create an accurate persona when you’re trying to nail down several different personalities, lifestyles, and habits? While it may be difficult to nail down buyer personas for multiple individuals, the practice is necessary. Knowing what motivates your customer’s buying decisions is crucial for building a successful marketing campaign. Here are the steps to follow for fleshing out your buyer personas for more powerful marketing campaigns. You might assume that the CEO of the company you’re targeting is the only one pulling the strings, but you’d be incorrect. The fact is, Google conducted a study in 2015 that said that half of all B2B researchers are millennials, and most often they are NOT executives or C-level employees. The lesson is to be cautious of only pitching to executives, as they may not be the ones making the executive decisions. To be effective and to properly flesh out your buyer personas, you need to focus on everyone with a say in the buying process. To be precise with your marketing communication, it would be wise to create buyer personas for each category of individuals who have a vote in purchasing. That includes CEOs, board members, engineers, researchers, and anyone else who may have a say. How do you decide who to profile? The best way to get to know someone is to interview them face-to-face, or at least on the phone. Don’t know who to contact when dealing with a new prospect? Start simpler by interviewing a representative of one of your current customers. Ask that person who made the decisions leading up to the final purchase. If that person doesn’t know, ask to speak to someone higher up in the food chain. Keep repeating the process until you have a fully-detailed buyer persona you can work with. If you’re just starting out and you have no current customers to interview, look for friends and associates in the industry, or search for job titles on LinkedIn that you have a connection with and send out a few instant messages. Don’t just call cold-call someone to ask about the buying process. A best practice is to send an email first, then follow up with a phone call. What do you ask? Start with demographic questions, then move to the more abstract aspects, including the person’s challenges and goals. If you find that various keywords and themes seem to pop up during your interview with one more people, write those down. They could prove valuable for your content marketing later. Whatever you do, don’t get bogged down in the details. Look for the broad perspectives that could apply to multiple people within that same job position or industry. For example, if a person you’re interviewing tells you that they like to sit down and read Yahoo! News with their morning coffee. It’s not about Yahoo! or coffee, it’s about being informed about happenings within their industry, which can help to flesh out your buyer persona even further. A fleshed-out buyer persona will never rely on one person’s point of view. Still, you don’t have time to interview hundreds of people, which would create the most accurate buyer persona ever created. You can come close, however, by averaging your analytics data. Google Analytics, for instance, will provide you with a goldmine of demographic information. Selecting the tab Audience, then Demographics and Overview will yield a simple analysis of the average consumer, from age to gender and location. You can learn a lot more from Analytics by tapping into your users’ Interests (by looking at individual sessions and conversion rates), as these individuals are usually right at the top of your purchase funnel. Social media gives you unprecedented insight into your target company’s interests, and the conversations they happen to be engaging in. Plus, social media is more valuable than analytic data, since people tend to get a bit more personal on social media. For instance, you can see what people’s interests are by viewing Google analytics, but social media insights will let you know a company’s likes, dislikes, the language they use, and so on. Tools like Followerwonk for Twitter and HootSuite for a host of other social platforms can give you even more insight into your prospects’ lives, such as the most frequently used words in their social bios, common interests, and the groups they belong to. Knowing your buyer persona’s age, gender, location, and interests is only half of the battle. To fully flesh-out your personas, you not only need to know who your buyer is, but you also need to figure out why they buy from you in the first place. For this, you need to draw on psychographic data. Examples of psychographic data include the fact that they may struggle with a work/life balance, or they may be concerned about the economy, or that they value quality over quantity. With this type of information to round out your persona profile, you will have at your fingertips ultra-targeted information that can cause your content to hit home for the individuals that matter. Why do you show up to work every day? What caused you to seek out your employer in the first place? What excites you about your industry, position, and average work day? When armed with the answers to these questions from several individuals, you can draw conclusions by highlighting similarities into what motivates your buyers. Finally, once you have all the information you need to complete your buyer personas, don’t be afraid to add a name and a face. 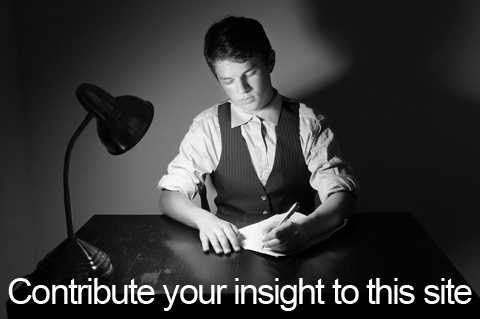 Doing so can help you visualize the person you’re creating content for. Imagine that person sitting at the opposite end of the table from you, and you are writing the content just for him or her. Do that, and your inbound marketing efforts are sure to be successful. Ryan Gould is the Vice President of Strategy and Marketing Services at Elevation Marketing, a B2B marketing agency. Ryan helps medium and large brands improve sales and market share by developing integrated marketing experiences distinguished by research, storytelling, engagement and conversion.